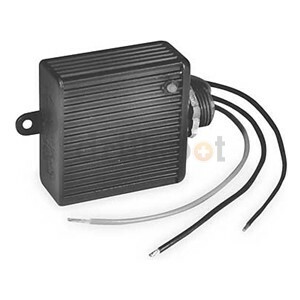 Desert Comfort Mechanical - air conditioning and heating accessories designed to improve air quality, efficiency or the reliability of your heating and air conditioning equipment. air conditioning and heating accessories designed to improve air quality, efficiency or the reliability of your heating and air conditioning equipment. Desert Comfort Mechanical has a solution for all your day to day troubles. From top of the line filtration systems, to compressor saver kits and many more items like UV Lights, solar attic fans and surge protectors, we have the tools and the technology to make your home more comfortable, your hvac system safer, more efficient and the air you breath allergen and germ free. The Goodman® UVX Ultraviolet Air and Object Purifiers are ideal for offices, lounges, smoking rooms, day care centers, residential homes, and any location where clean air is desirable. Units also feature the ultra-bright LED “Smart Lamp System” visual operating display. 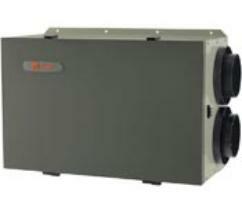 Every TRANE FreshEffects Energy Recover Ventilator is packed with high-quality components. Each helps ensure that you can count on FreshEffects to deliver fresh air, time after time. Solar Star, the leader in solar powered attic ventilation, brings you the most technologically-advanced, environmentally-friendly, ventilation solution today. Best of all, Solar Star brings you the solutions that cost nothing to operate. Imagine the savings. By placing the unit where it is most effective, the highest point on the roof, it can properly circulate air and ventilate your attic space, transforming your home into a comfortable living environment. Powered by Solar Star's proprietary 10-watt solar panel, this breakthrough product has been designed to last season after season. First a flash, then thunder, then BANG! Your air conditioner just blew up! LIGHTNING is the most obvious source of a power surge, but not the only culprit. Utility Events, Cycling of air conditioners, Generators, Motors and Appliances can also produce damaging surges. 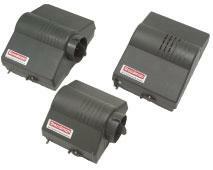 Protect your equipments with Supco's Surge Arrestors. With a full product line we can protect all your equipment. What do Kickstart® devices do? Kickstart® hard start devices utilize a capacitor/relay combination to allow your air conditioning and heat pump compressors to start with maximum efficiency thus reaching normal rated speed at up to ten times faster than compressors with no hard start device installed. During start-up, a typical compressor motor with no hard start device installed has an electrical efficiency rating (also known as "power factor") of less than 50%. That means only 50% of the available power is being utilized to start the unit. Under those conditions, the compressor has to work much harder and is exposed to a lot of excess heat that is generated with each and every start. With a Kickstart® device installed, the electrical efficiency is boosted to over 98% enabling all of the available power to reach the compressor for smooth, fast starts. What are the benefits of having a Kickstart® device installed on my air conditioning or heat pump compressor? By reducing the duration of "inrush" current, Kickstart® hard start devices minimize the amount of damaging heat that compressor windings are otherwise subjected to during start-up. Over time, this reduced stress on insulation, wiring, and other critical components of the compressor has the effect of increasing its reliability and extending its useful life. Air conditioning and heat pump compressors (especially those with higher SEER ratings), often produce the undesirable side effect of "light flicker" when they start-up. Because the Kickstart® hard start device brings the compressor to rated speed up to ten times faster than normal, energy consumption is minimized and noticeable "light flicker" is usually completely eliminated. Want to see what else we carry? Contact us now for more information or to schedule a free estimate. "Your company Installed a Trane Clean Effects on my house. It is well worth the money. No more filter to change, the air feels fresher and cleaner. Best of all, I feel healtier and my allergies... none when I am home. Thanks Desert Comfort. 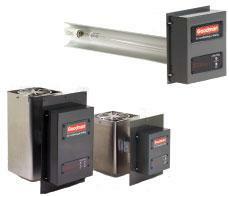 I stand by this product 100% "
"The ERV unit you installed is great. The air is fresh and we can finally use our kitchen without smelling up the whole house"
"Desert Comfort Mechanical installed a solar attic fan on our South Scottsdale home in the spring. What a difference. The house is old, the insulation not the best and our windows are paper thin. Needless to say, our electric bill is always high in the summer. 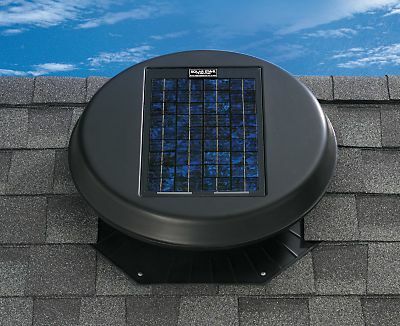 The technician recomeded we install a solar attic fan. After his explanations and looking at the brochure, it made total sense. Even tthough the electric rates went up we saw a significant drop in our electric bill and we can now appreciate a more comfortable home. Thanks DCM." " This is a story that most people think that will never happen to them. I was one of those people. We live in North Scottsdale and, as you know, monsoon stroms can get pretty bad up here. Well during the storm, one of my roof mounted package unit got hit by lightning. Scariest thing I ever been through. I thought a tree had come crashing down on our house. The next day, with no power in the house, I called an electrician and desert comfort. The unit was completely destroyed. All the electrical was melted, all the refrigerant lost etc... etc... I know lightning never strikes twice in the same place but a new electrical panel and new 5 ton Trane unit later, they installed, free of charge a surge protection device on all three of my roof units. I wish the guys who installed the unit before them had thought of that... But better late than never." 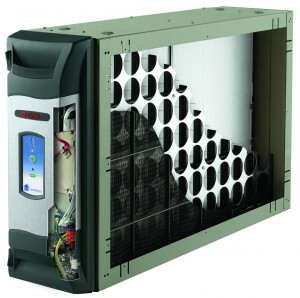 " I had one of your maintenace technician service my heat pump unit today. Scott was very helpfull and very knowledgable. I asked him if it was normal for my lights to flicker everytime the unit came on. He explained that a compressor saver kit would be a good idea. Well, he installed it and my problem is gone. Never thought this little device he installed could have such an effect on the rest of my house. Anyway, i wanted to let you know he did a great job and you should be glad to have him as part of your company."